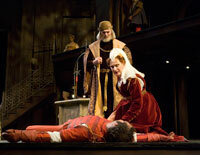 Graham Hamilton as “Romeo” and Heather Wood as “Juliet” in The Old Globe’s Summer Shakespeare Festival production of Romeo and Juliet, by William Shakespeare, directed by Rick Seer, playing in the Lowell Davies Festival Theatre June 14 – September 28; photo by Craig Schwartz. 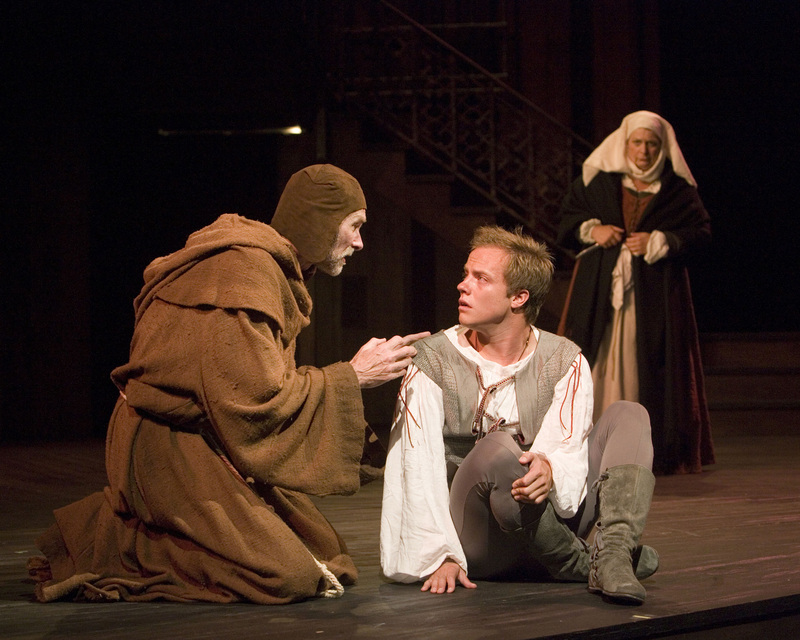 (L-R) Globe Associate Artist James R. Winker as “Friar Laurence,” Graham Hamilton as “Romeo” and Globe Associate Artist Deborah Taylor as the “Nurse” in The Old Globe’s Summer Shakespeare Festival production of Romeo and Juliet, by William Shakespeare, directed by Rick Seer, playing in the Lowell Davies Festival Theatre June 14 – September 28; photo by Craig Schwartz. 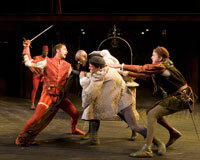 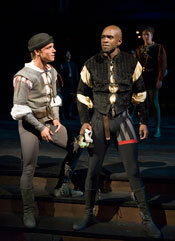 (L-R) Graham Hamilton as “Romeo” and Owiso Odera as “Mercutio” (with Michael Kirby as “Benvolio” behind) in The Old Globe’s Summer Shakespeare Festival production of Romeo and Juliet, by William Shakespeare, directed by Rick Seer, playing in the Lowell Davies Festival Theatre June 14 – September 28; photo by Craig Schwartz. 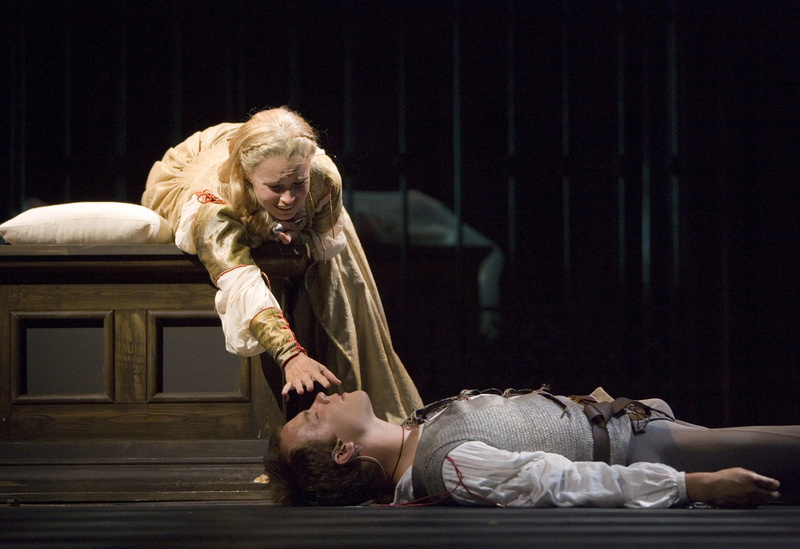 Heather Wood as “Juliet” and Graham Hamilton as “Romeo” in The Old Globe’s Summer Shakespeare Festival production of Romeo and Juliet, by William Shakespeare, directed by Rick Seer, playing in the Lowell Davies Festival Theatre June 14 – September 28; photo by Craig Schwartz.